The diversity of the fish you will encounter on a Central Florida deep sea charter is perhaps unmatched in the northern hemisphere—and maybe even the world. It would take volumes to outline all of the fish you will have a chance to catch, but here is a brief overview of some of a few of the main attractions. The amberjack is in the jack family and although a relatively short fish, 2.5 feet long, it’s stocky, tipping the scales as much as 40 pounds. 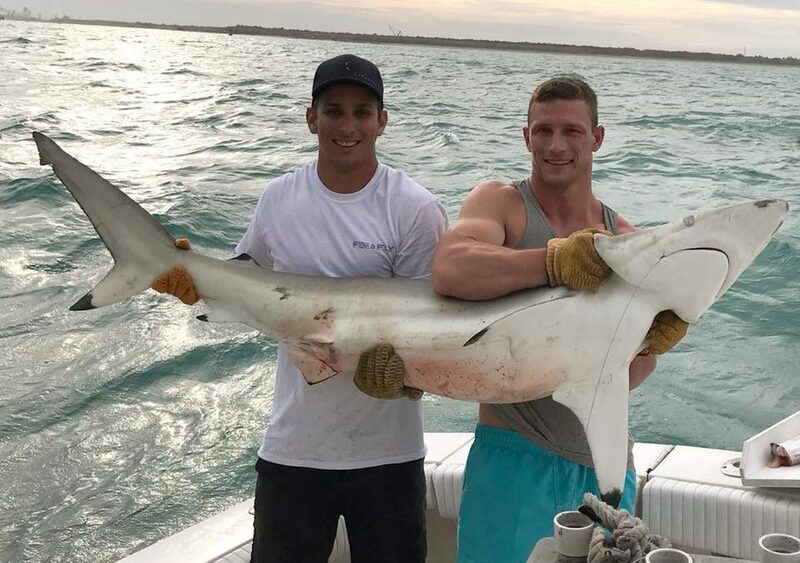 With all that muscle packed in, this fish puts up a nice little fight after getting hooked, making for an entertaining catch. The kingfish is a main stay for the Central Florida fishing experience. It is known for its menacing teeth that reveal a distinct snarl across its narrow head. It is a powerful fish that loves to put up a fight, so get ready with the GoPro the second that rod doubles over. No Central Florida deep sea fishing charter fish list is complete without a tip of the hat to the mahi mahi. This fish is as delicious as it is stunning. It’s bold, bright colors give it the appearance of a classic tropical big catch, not to mention the odd-shaped, oversized, squarish head. The grouper is a favorite all over the Caribbean. It’s a hungry fellow that eats without discrimination, swallowing pretty much anything it can get its big mouth around. It’s a hefty fish that can be found in a variety of areas, including reefs. The sailfish’s reputation precedes itself. This is the ideal trophy fish. With its giant, spiked sail, and extended snout, it has an unmistakable look, and the only place it looks better than it does leaping out of the water is when it’s mounted on your wall. This fish puts up a nice challenge because it’s so powerful and agile. It can swim up to 22 mph, and it’s ready to give you a run for your money after you hook it. Prepare for a fun battle. Another classic Central Florida deep sea fish is the black fin tuna. This powerful little beast can clock in around 46 pounds even though it’s only a few feet long. It’s appropriately named as its entire dorsal ridge is blackish in color, making for an attractive contrast with the rest of its body, which is far lighter, a luminescent white. Hook one of these babies and stoke up the grill for some delicious steak-thick fillets. This just a small sampling of what you’ll be able to wrangle in during a Central Florida deep sea fishing charter. Make sure you bring your camera or water proof kit for your phone, because regardless of the catch, you’re going to want to have pictures to back up the stories. Now that you’re an expert on the types of fish you can catch deep sea fishing in Central Florida, let us take you out to catch them! Book your charter online or by phone with Fin and Fly Fishing Charters today!